When you’re in the market for rugged and dependable pavers and road equipment products in central Indiana, MacAllister is the reliable source for everything you require. As your local Weiler dealer, we offer a complete selection of new shuttles, pavers, road wideners, screeds and track distributors capable of increasing productivity and reducing long-term operating costs. Whether you’re building new roads and commercial parking areas or work in repairs and maintenance, we’ll help you find the Weiler paving equipment suited to your particular applications. We also offer used Weiler equipment sales as well as rental options. Located in Knoxville, Iowa, Weiler produces cutting-edge paving equipment solutions in a wide variety of models, sizes and configurations. As the company continues to expand its product line, the focus remains on building machines that help contractors complete projects on time and within budget. As a leading Weiler dealer in the region, we carry its latest line of road equipment products built to provide optimal efficiency in the most rigorous road jobs and environments. Weiler machines are easy to operate and control for improved precision and safety. Shuttles: Our selection of new remixing transfer vehicles are built on a proven platform to offer increased productivity with reduced fuel consumption and maintenance costs. Choose from four different models of shuttles based on your project requirements. Pavers: Weiler pavers are exceptionally versatile, providing a compact and maneuverable machine capable of highway-class output. Units feature a rugged undercarriage and low-emission engines, as well as options such as LED strobe light, joystick controls and hydraulically adjustable push rollers. Road Wideners: Four different-sized road wideners ensure you’re able to find a machine suited to your applications. You benefit from a more accurate placing of materials at the right grade and slope in less time. Screeds: We carry front-mounted and fixed screeds that offer the durability, productivity and reliability you need to smooth and spread asphalt with speed and precision. 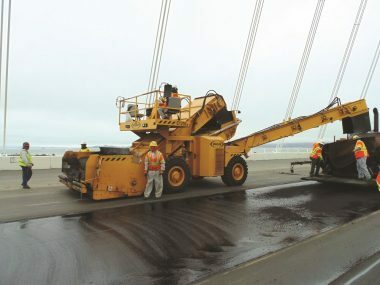 These highway-class pavers deliver the innovative technology and ease of use you’ve come to expect from Weiler equipment. Tack Distributors: Grow your paving contractor business with Weiler tack distributors with the capacity to handle commercial applications. Models are towable and come available in two standard gallon configurations. As a full-service Weiler dealer, MacAllister Machinery offers a variety of paving equipment rentals to meet your short- or long-term needs. We rent by the day, week, month or longer for the flexibility to expand capabilities without purchasing new machines. Our rental experts will assist in finding the pavers and road equipment products that best fit your applications. We carry an extensive variety of used Weiler paving equipment for sale. All our preowned inventory is meticulously tested to ensure quality performance. You’ll find an array of options in late-model to slightly older, well-maintained solutions at prices that make sense to your bottom line. Find the Weiler paving equipment you’re looking for today! Contact us for more information and to request to speak with a live representative.